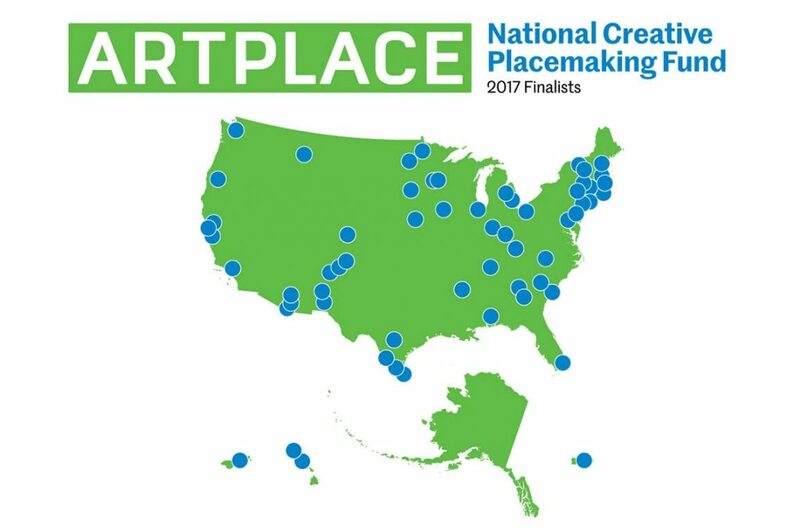 (June 7, 2017) Today, ArtPlace America announced that Arts for Learning/Miami is one of 70 finalists for the 2017 National Creative Placemaking Fund (NCPF). ArtPlace selected these 70 proposals from 987 applications, making Arts for Learning/Miami’s project one of just 7% of the projects across the country to make this cut. 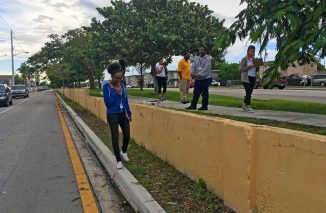 Arts for Learning/Miami’s proposed Wall (In) is a multi-year collaborative project in which young high school aged artists from Liberty City will research the remains of a segregation wall on NW 12th avenue and work to co-design a community-based memorial for the site. 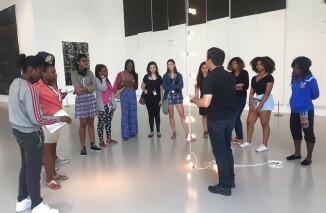 Participating youth will work alongside renowned homegrown artists Tarell Alvin McCraney and Chat Travieso to learn about community-based art, develop leadership skills, and promote equity and social justice. Wall (In) supports the development of the young residents’ personal power, self-esteem, and sense of purpose. Through Wall (In), youth will hone their planning and decision making skills, and build their cultural competence by working with different members of the community. They will speak to historians, activists, community leaders, and other stakeholders to research the history of Liberty City and the segregation wall and investigate the current state of the wall by mapping the remains and any existing plans for its future. Current project partners include the African Heritage Cultural Arts Center (Liberty City’s Historic art place), the Miami-Dade County Department of Cultural Affairs, residents, and resources such as the Black Archives. 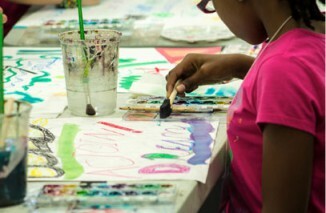 Arts for Learning (A4L) is a non-profit organization dedicated to advancing teaching and learning through the arts and community cultural resources. 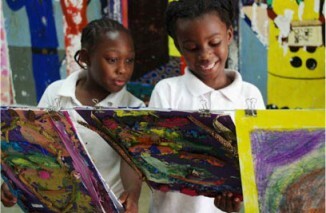 As a leading source of arts programs in Miami, A4L provides traditional and arts-integrated instruction, student studio programs, afterschool and summer programs, high school internships, and teacher and artist professional development. 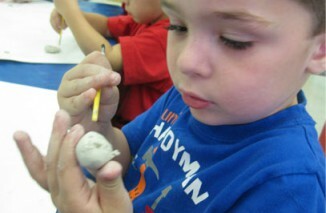 A4L’s programs augment cognitive, social, and emotional development in children and youth. The programs also develop creativity, critical thinking, communication, problem solving skills as well as promote positive peer relations and cultivate self-efficacy. 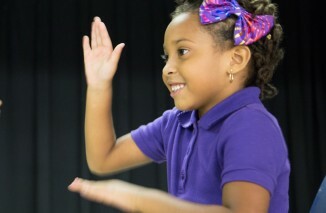 A4L partners with Miami-Dade County Public Schools, Miami-Dade County Department of Cultural Affairs, and Young Audiences – A4L’s national affiliate. 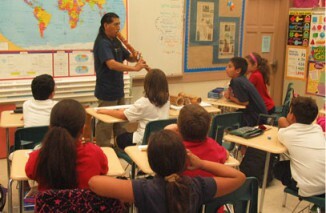 A4L also serves as the South Florida Wolf Trap, a regional program of Wolf Trap Institute for Early Learning. 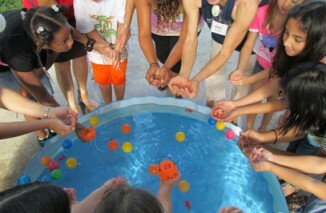 A4L’s services are delivered to more than 5,000 children and youth in approximately 50 schools, preschools, after-school programs, and summer camps throughout Miami-Dade and Broward. 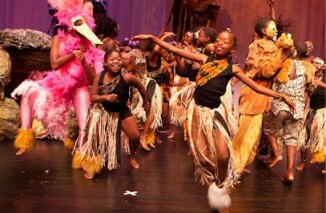 Arts for Learning’s programs are made possible with generous support from and partnership with: African Heritage Cultural Arts Center, All Kids Included, Broward County Public Schools, The Children’s Trust, Design and Architecture Senior High, Centro Mater Child Care Services, Inc., City of Hialeah, City of Miami, City of Miami Beach, City of Miramar, Doris Duke Charitable Foundation, Florida Department of State Division of Cultural Affairs, Jonathan D. Lewis Foundation, Miami Children’s Initiative, Miami-Dade County Department of Cultural Affairs and the Cultural Affairs Council, Miami-Dade County Mayor, and the Board of County Commissioners, Miami-Dade County Public Schools, The Miami Foundation, O, Miami, O Cinema, South Florida Cultural Consortium, and Young Audiences, Inc.